I'm writing this hub in response to the request for a hub, "What does Halloween really stand for?" This hub is divided into addressing that question in two different ways, with the historical roots of the holiday addressed first and what Halloween "really" means to me following. My first instinct, of course, was to think of the historical roots of the Halloween; which are believed to date back to ancient Germanic and Celtic societies, which celebrated the festival of Samhain. The festival of Samhain marked the end of the year these ancient societies viewed as the "light half" of the year (Spring and Summer). Autumn and Winter were viewed as the "dark half" of the year, and this half of the year had been associated with death. It is believed that the time of harvest, which marked the end of growing plants on which people survived (as well as the beginning of the seasons less suitable for animals kept in pastures), may have led to the association of death and "the dark half" of the year. Samhain was celebrated with fires, around which people danced, in the hopes of encouraging the sun not to disappear. It was believed that this was a day on which the spirits of the dead were most likely close by, and on this "Day of the Dead" everyone, including the spirits of deceased loved ones, was encouraged to dance and try to encourage the sun to remain. Animals were "sacrificed". (What would have happened to them if left to live outside without sufficient food could possibly have played at least some role in this practice; although, of course, 21st Century logic cannot always be applied to ancient civilizations that believed they could encourage the sun to change how it did things.) Historians believe that people left open their doors in order to invite in the spirits of loved ones who had died. The practices of wearing costumes and serving candied apples are believed to date back to Samhain. Later, as Christianity spread throughout the world, the holiday became "Christianized" and linked to "All Saints Day" (All Hallows Day), which is celebrated on November 1. With the eve of November 1 being October 31, that date became known as "All Hallows Eve" (or "Halloween"). It is generally known that as Christianity spread throughout the world pagan holidays were either adopted and adapted to fit Christianity, or else were abandoned. That's the thing about holidays - they can be adapted to suit the beliefs of those who choose to celebrate them. Throughout history, holidays have, more often than not, changed as mankind has changed. Depending on the perceived importance of any holiday (Christmas is, of course, the first to come to mind), there are varying degrees to which today's people even think about the origins of it. Christians, of course, will be averse to any pagan, historical, roots of a holiday; while non-Christians will be averse to any Christian meaning placed on it. In the meantime, and among all the disdain and resentment that can be present, we have Easter eggs and bunnies associated with Easter and Santa Claus and Christmas tree angels associated with Christmas. Heck - we have chocolate candy and flowers associated with Valentine's Day (although my father, who knew I didn't like candy when I was a kid, would give me a Vogue Ginny doll each Valentine's Day). People in Canada don't link their Thanksgiving to the folks that landed in Plymouth, Massachusetts in 1620. I was born a very long time after those ancient Germanic and Celtic people lived and relatively close to 2000 years after Jesus Christ was born (give or take a few decades). Somewhere between the time when I was a child and the time I grew up, I had heard about "what Halloween USED TO mean". I saw it, though, as a matter of "that-was-then/this-is-now". For me, Halloween was having my mother bring me to the store to select "this year's" Trick-or-Treat bag. (I hated the way many of the bags had the writing, "Trick O' Treat". I wanted the word, "or", spelled out properly.) Halloween, to me, was putting on my store-bought, Ben Cooper costume. For two years in a row I was Little Red Riding Hood, and the costumes back then were made of a kind of "netting" fabric that was scratchy. The masks were softer than their plastic successors, but they could also be a little scratchy. My older sister would make her own costume, and I enjoyed the excitement of all the preparations. Each year my mother would make popcorn in a giant pot. (There was no microwave popcorn at that time.) Each year, she would buy lots of Halloween candy for the kids who would be coming, pack it into little bags (or sometimes tie it into particularly cute napkins), and leave the rows of little packages on the dining room table, waiting to be handed out once the doorbell began ringing. 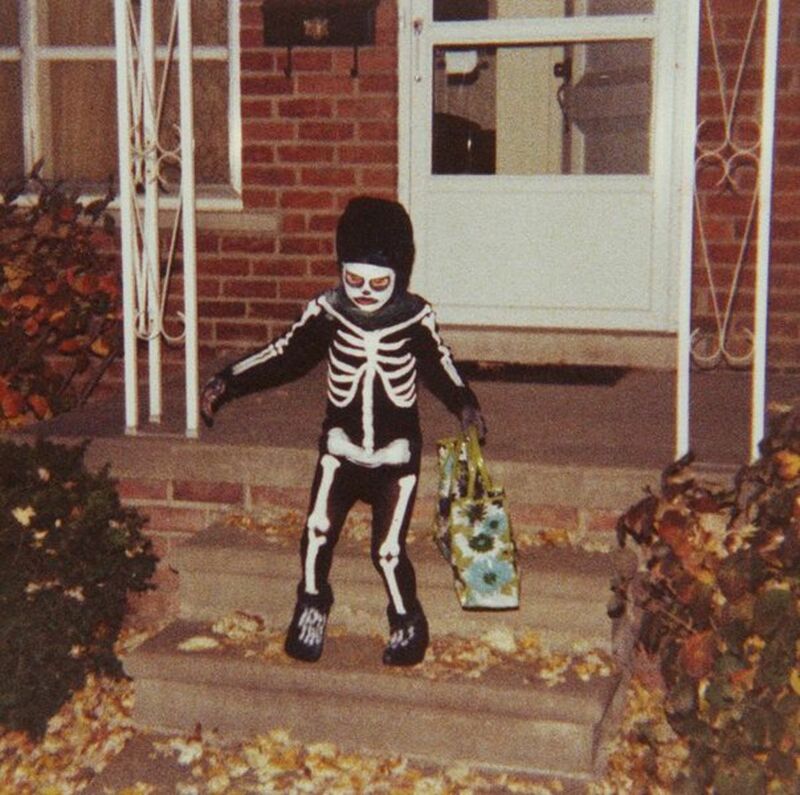 Although my brother was a baby when I was Trick-or-Treating, my older sister would bring me to the homes of six neighbors in the immediate vicinity, where I'd muster up the courage to say, "Trick-or-Treat" to friendly, smiling, grown-ups who told me how great my costume was. It was fun to be out in the dark, wearing my costume, and with just my sister. Kids were everywhere. Doors were open. Happy chatter broke the quiet of the night, and it was just a fun thing for all involved. By the time I had children of my own, Halloween pranks had (at least in the areas where I've lived) become primarily a thing of the past. The occasional door-step pumpkin may not be spared, but more and more of them were surviving to the point of turning to pumpkin soup. Like my mother, and like "all" the neighbors who had small kids, I aimed to make a fun Halloween for my children and the neighborhood kids. People in our neighborhood (as with in most middle-class American neighborhoods) enjoyed taking children out to join other kids in the neighborhood in the event. One neighbor, with grown kids, always made popcorn and candy apples for the kids. (It was a tradition, and we all knew there was nothing horrible in the apples.). My home would be decorated with cute little Halloween items, and I'd pack up particularly special little bags of candy and line them up on the dining room table (as my mother had). 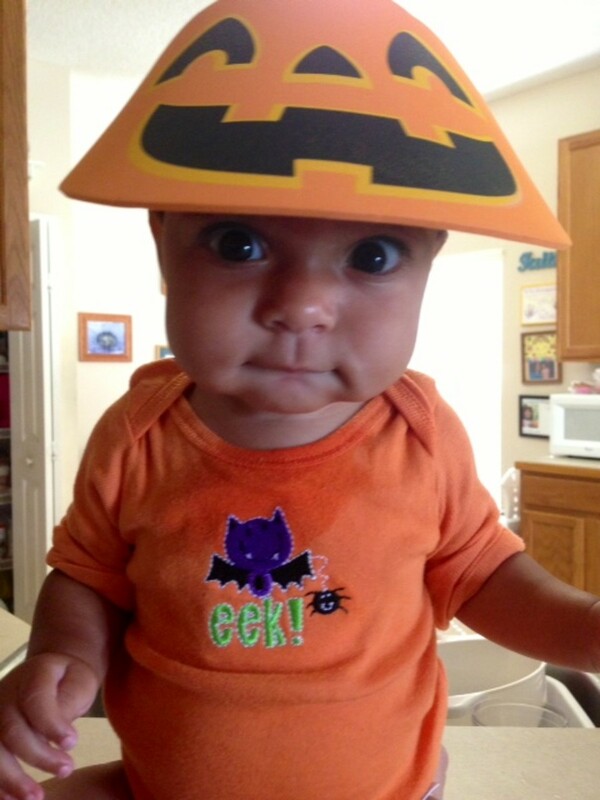 I have two sons and daughter, and when they were little I would place emphasis on the cheerful and bright side of Halloween - cute pumpkins, cute Halloween kittens with hats, cute-faced "ghosties", ribbons, candy corn, and the color, orange. When my sons got to a certain age, of course, they seemed to prefer werewolf costumes (although as one got yet a little older he began to lean to costumes such as an absent-minded professor). So, for a few years I did find myself, on Halloween night, walking with a "princess" or a" Puffalump" and a couple of "monsters" (previously "Care Bears" or generic animals of one kind of another). The day of the school Halloween party was another exciting part of Halloween. It was sometimes a lot of work to figure out how to make some costumes portable enough to still "be good" at the school party. There was always the thinking up of some fun treat to send in for the party, and there were always the happy children who returned home from school and unpacked any number of Halloween projects and party foods left over. My children are grown now, so my Halloween's are a matter of trying to make things nice for the children who show up at my door, Trick-or-Treating. Since I'm not obligated to decorate with the kind of "monster stuff" elementary-school-aged boys tend to prefer, I no longer need to have anything but the happy, cheerful, kind of Halloween decorations. I try to make my front walk and porch seem very "Halloween-y" but very bright and cheerful. There are, of course, my big pots of mums and a few pumpkins that have no faces cut in or drawn on; but for Halloween I'll add extra lights, a particularly happy Jack O' Lantern that lights up, and a few "accents" along the walk. I enjoy making up what I like to think are particularly special little Trick-or-Treat bags. Usually, I'll make some just for the tiniest of children (being careful to add healthier and safer treats). There are a few kids in the neighborhood that I know particularly well, and sometimes I'll make up a particularly cute package for them. My aim is always to make the bags just special enough to be a little bit of a surprise to the kids. As for my own personal enjoyment of the evening, I turn down my lights, light some scented candles, and make a pot of coffee and some popcorn (for any of my relatives who happen to be there). Anyone looking for skeltons and witches aren't going to find them at my house on Halloween. Ceramic pumpkins (with or without a cheerful, cute, face), pumpkin-spice potpourri, and Fall flower arrangements are part of the Halloween I put together for myself and my adult family members. Other than that, I pretty much put all the focus on the Trick-or-Treaters' visit to a pleasant-and-yet-"Halloweeny" home. I know there are the 5'8" 14-year-olds who enjoy the irony of being so "old" and still showing up for candy, but I'd rather see kids that age enjoying themselves and getting candy than either getting in trouble or being depressed about being "too old" to go out for candy. Ten or fifteen years after my own children were still Trick-or-Treating, I've noticed that it is a very rare doorstep pumpkin that doesn't survive to the point of turning to soup. Once smiling Jack-O-Lanterns often do, with age, turn quite saggy and dour looking; but as with people, that's nothing more the normal aging process. Time changes everything - pumpkins, people, societies, and holidays. Every year, as I run out at the last minute and hang the little pumpkin that has become a tradition for me, I imagine how the little Trick-or-Treaters will think he's cute as they reach my front walk. Each year, after completing that one last preparation for Halloween, I'll run back in the house, get that fresh cup of coffee, get the scented candles and potpourri going, and settle near the door to listen to for the sound of happy little voices in the darkness of the October evening. Societies change, people change, holidays change, and even the smiliest of Jack-O'Lantern pumpkins turn dour. Still, it occurs to me that when it comes to Halloween, I still pretty much see it the same way that I saw it back in those Red-Riding-Hood days. Maybe that's because I was a young child in 1950s America, when parents who had lived through World War II devoted most of the attention to their families and when childhood (and America) was quite innocent. I recall, as a small child, standing on the sidewalk in front on our home and feeling the sun's heat on my hair. It was a day when the sky was bright blue, and the clouds were pure white and fluffy; and I felt as if the sun's light on my head was "God's way" of letting me know how blessed I was. At the one moment, and more than at any other time in my life, I just felt pretty certain that God was there, watching out for me. Of course, I grew up to learn about what the sun really is and also to, at one time or another, question the existence of God. Thousands of years after those Celtic and Germanic people celebrated Samhain in hopes of convincing the sun to continue to shine brightly and shower the Earth with its warmth; and long, long, after a Christian church re-defined the holiday to include the matter of saints and souls; I realize that maybe my own interpretation of what Halloween should be is my own version of trying to "fight off" some form or "darkness" and, instead, trying to add a little extra sunlight to life. At that time of year when the beautiful Fall foliage has pretty much turned brown and fallen from the trees, and when we've turned the clocks back after a Summer of daylight savings time, there can be just a hint of a depressing mood for those of us who live in places like New England. Although November may bring the occasional warm day, the end of October generally marks the end of the beautiful Autumn weather. Those of us who live in places like New England generally think of the months of November, December, and January as "gray" months. I'm too "modern" to think I can dance and make the sun stay a "Summer sun" through the Winter; and I've lived too long to think that all the praying in the world will make God always keep away the darker, stormier, aspects of life. Even the most faithful among us realize that religion or spirituality don't stop the Winter winds from blowing. They only, sometimes, help some people deal with them. I'm not even someone who spends a lot of time thinking about souls and spirits, other than my own soul and spirit - both of which do appreciate the need for a little more sunshine and laughter in life, especially for children. Halloween, to me, is nothing more than that one day at the end of October, when children (and more and more these days, adults as well) dress up, have parties, get candy, and generally just have innocent fun. If the sun could think it might marvel at the way humans - regardless of the time in which they live - seem to find ways to keep light and warmth in the world. If the saints are somehow "out there", watching our Halloweens, I somehow suspect they'd delight in the ways we try to bring a little cheer to childhood (and/or the sometimes drearier days the grown-up years bring). As for spirits and souls: Spirit is what we decide to have when we choose to brighten the cold, Autumn, nights of others. The only real "soul" that matters is our own, and mine tells me that there is something very positive about those lovingly frosted cupcakes served at school Halloween parties, and the packaging up of candies and treats just because it's kind of fun for kids to dress up and get candy. Thousands of years after people danced around giant fires in the hopes of encouraging the sun to stay in the sky, life continues to require us to find ways to deal with sadness, illness, natural disasters, death, and people who commit evil. If happy-hearted little princesses, witches, and monsters roam our streets one evening a year, and get to feel as if the whole world of adults is working together to create a wonderful experience for them - I think celebrating Halloween is a pretty positive thing. More About "All Hallows Eve"
I think one reason Halloween seems to have become a bigger and bigger thing in the US is that all the other holidays are generally family-centered or else are a combination of patriotic/family and friends type of thing. There are some people who do associate Halloween with Samhain or whatever else a minority of people may associate it with; but for the most part, I think most Americans see it as the one holiday that isn't about family or patriotism, and that's just about being silly or creative and having fun with friends. The younger kids like getting to "be" cartoon characters, super heroes, monsters, and fairy princesses. Teens and adults get the chance to have costume parties (which, in most circles, aren't something people usually have when they're having a party). I am a South African, and in recent years halloween has come to our country! Must be the effects of the media. But I had no understanding nor sympathy for adopting an American tradition. This has helped me to make it simply a fun experience. We have no need of keeping the sun down here. The sun is always with us throughout the year. So I have no need of even attempting to explain such a reason. Thank you. I now know how to approach this seemingly crazy import into our country! 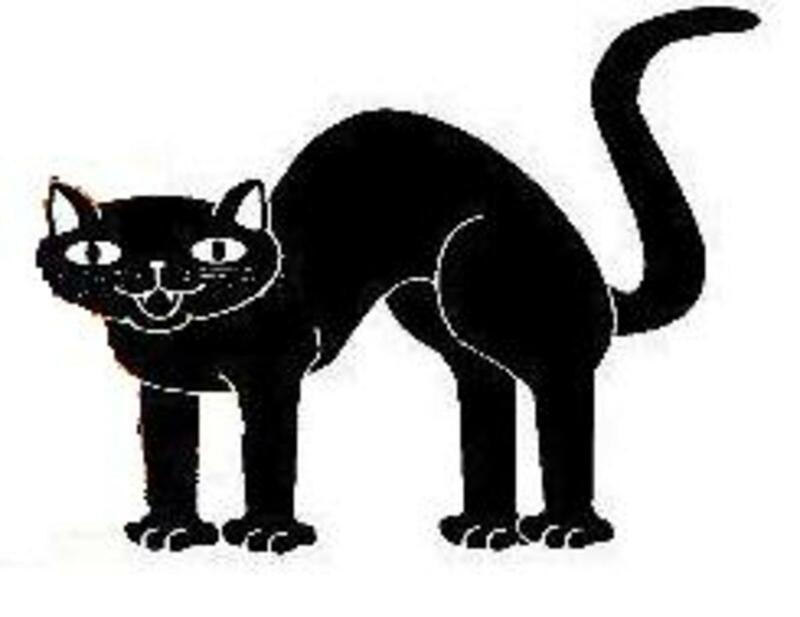 RayneHawke, thank you for sharing here. So many holidays/festivities so often get associated with stuff that some people or others find offensive. I just think it's nice to find our own ways to have, and enjoy, holidays in a way that feels like our own. Of course, some holidays, more than others, have come more "generic" than, say, some religious ones; so I'm not necessarily saying I think everyone ought to borrow everyone else's religious holiday. I think, though, once holidays have become substantially separated from their origins, maybe it's time people start re-defining them to some extent, at least if the people don't feel connected to the origins of the celebration. I just wanted to say thank you for taking the time to write a really nice article. I celebrate Samhain, although with my children it's easiest to stick to "Halloween." As the date gets closer every year, I look for new and improved spins/thoughts/ideas on the different meanings and origins of the holiday. I liked how you personalized what it means to you after the historical origins and the emphasis that it does not have to have the same meaning for everyone. I also have the same thank you to extend as SognoPiccolo for mentioning the Pagan roots without smearing and confusing matters with "Satan." Definitely a refreshing and enjoyable read to stumble on outside of a Pagan-based site. 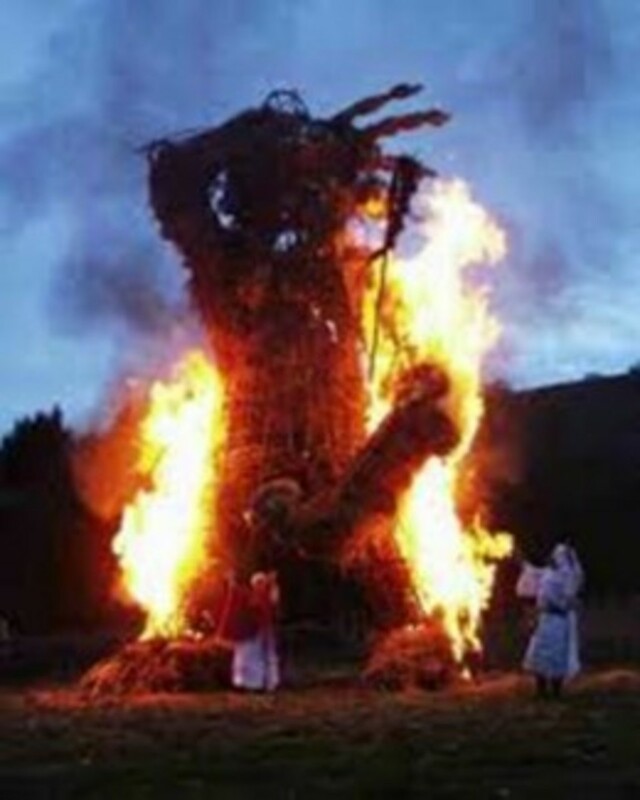 Halloween or Samhain (sow-inn) Is celebrated the way it is, because Pagans believe the veil is at it's thinnest. Loved ones who have passed on are able to move freely about through the waking world if they so choose to be with their loved ones who still walk the earth. The costumes come from the belief that wearing costumes was a way that the deceased who passed on could blend in with the living dressed as something or someone else so as not to frighten the others. Dia De Los Muertos or Day of The Dead, is celebrated in Mexico over a week as a homage to the loved ones that passed on. Alters are made covered with food and chocolate (especially chocolate skulls) as an offering to the ones who have passed. This usually sits on about November 1st. Thank you for mentioning that all Christian Holidays have Pagan roots and not one mention of "Satan" was brought up. That has always been the thing that has irked me the most. Pagans don't believe in Satan as he is a Christian "invention" of sorts. Beautiful Hub, loved your story. Thanks for the great information. I found it so good that I have included a link to it in an article I wrote. Check the link out to find this article and once again thank you and congratulations. 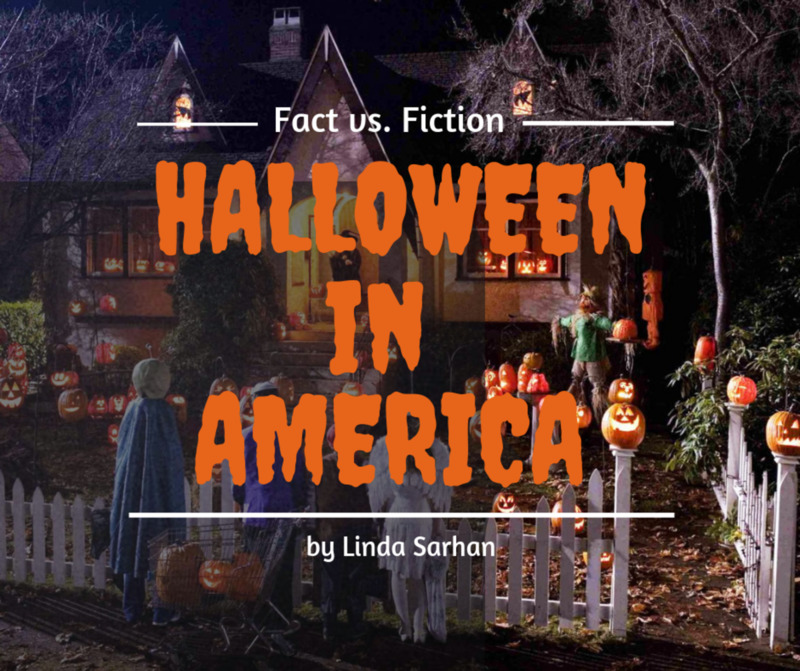 This is an amazing amount of information and great background on Halloween. Craig, each to his own beliefs; of course, but to those of us who see Halloween as a meangingless "holiday" on which children and others dress up in costumes, eat candy, and have a little fun, I don't know what there is not to believe in. I think Halloween is fun. only when you dress up appropriate. gregory, I thought it was pretty clear that Halloween was once about people wanting to keep away "evil spirits"; but for me (at least) today it's about candy and cute Jack O' Lanterns and making a fun day for young kids. One reason it "what it stands for" to me doesn't look any clearer than that is that it doesn't stand for anything (for me, today) - other than candy and Trick or Treating. :) That was pretty much the point of the Hub. so what is does halloween stand for. you should make it more clear. Apparently, the date of All Saints Day has moved throughout history. Somewhere along the way (there are links above for more specific information) November 1 was designated as "All Saints Day" by Pope Gregory III. 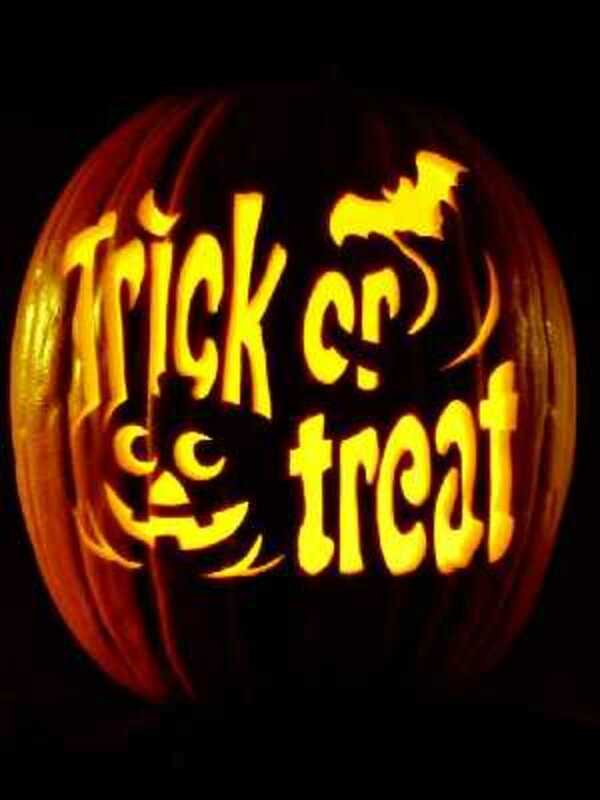 Because October 31 is the "eve" of All Saints Day, these days October 31 is Halloween (All Hallows Eve). Perle, thank you for the kind words. (Monsters and skeletons are so unpleasant, arent' they. I've never been a big fan of that stuff. LOL ) When my kids were little we lived in a neighborhood where one long-time neighbor made candy apples and had a "whole thing" set up by their open front door. Another one lighted a giant, giant, pumpkin on the walkway for his own little boy, and served cider to parents and apple juice to the kids, when people came by for a quick chat in the night air. Things like that made Halloween really nice for my children. I can't speak for everyone who tries to do a little something nice for the neighborhood children; but I've seen how, as with everything in life, even the smallest holidays are what we make them - and when we aim to make them nice for children we get just that much more out of them. Happy Halloween to you and your little girls. I have 2 girls aged 8 and 3. They love Halloween and we go trick-or-treat every year. My eldest daughter would avoid houses decorated with spooky decorations, bloody monsters, skeletons, or evil pumpkins etc. So I totally support you in your effort to make the decoration non-scary yet still Halloweeny. You said: "With thoughts of how, maybe in some small way, I will contribute to the Halloween fun of other people's young children." I want to thank you and all other people who spend time in making sure that kids would have a fun time on Halloween. Your effort is appreciated! Awesome! Thanks, I'll do the same! I have two in mind. I haven't written them yet, but I've been thinking about them. Lisa HW, you handled that last comment well. :) I read the entire article and wondering about the timing of the article because I have some Halloween-related hubs I intend to bring out soon. That's when I noticed the dates on the comments and realized this is one of your hubs from last year that Ms. Liza has resurrected with her devilish criticism. I wonder if that's Liza's life....spending months BEFORE Halloween, trolling for Halloween articles to leave her mark on. LOL Oh well. I look forward to Liza's comments on my upcoming hubs! Great article Lisa! Liza, days considered "holidays" are spelled with the first letter capitalized. It's fine with me if you didn't read the Hub, but the irony here is that if you did you would see that not everyone treats the day as a "devil's holiday". William, thanks for the comment. When my siblings and I were kids parents also thought it was safe enough to let my eleven-year-old sister take me around our neighborhood and then head off with her friends with a pillow case and comfortable shoes that wouldn't lead to blisters on the long trek through the city. Where I live today (and when my kids were little) neighbors know neighbors, and no kids show up at a door without a parent (or three or four) standing out at the end of the driveway. It's almost as if, after those scares you mentioned, Trick-or-Treating suffered a giant set-back but came back bigger (but safer) than ever (at least where I live). In my neighborhood in Yonkers, N.Y., during WW II, Lisa, our parents scambled to come up with some kind of makeshift costume. Usually I dressed up either as a girl or a bum, usually with a Lone Ranger mask, and knocked on doors until late into the night. 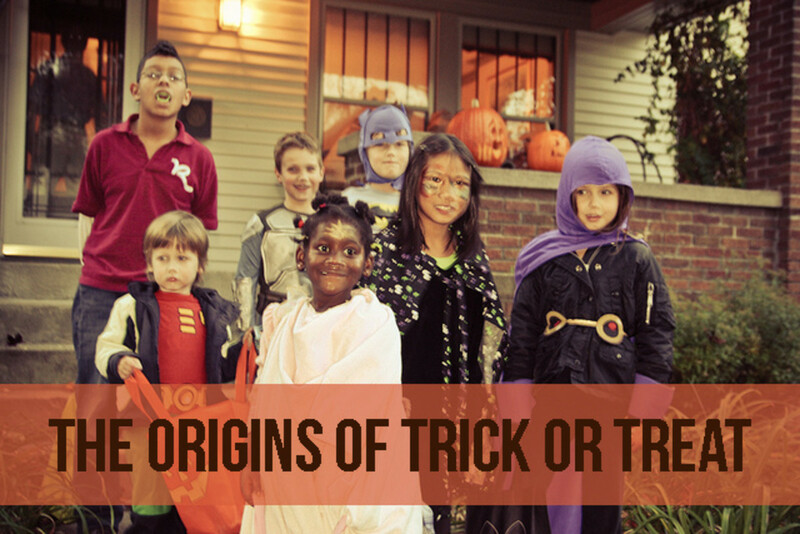 When my children were young they had store-bought costumes and they were chaperoned around our neighborhood. Following a few razor blade scares, many cities began to hold Halloween parades to keep the youngsters off the streets in a safer atmosphere -- but I always thought that sort of ruined the spirit of Halloween. Thanks, &quot;justme..&quot; Others browsing the topic of Halloween may enjoy them too. Happy Halloween. I thought paragraphs 2 through 4 answered the question about the historical roots of Halloween, and it is usually historical roots that are the reason &quot;we&quot; celebrate any particular holiday. I included why I, personally, celebrate Halloween as a way of pointing out that &quot;why&quot; anyone celebrates anything (and how they celebrate) can be a very individual thing, completely removed from any historical roots. You're right. The hub is long, so people who don't like long hubs aren't going to like this one. That's fine. I think, though, the reason it may not seem &quot;easy to find&quot; the answer to why Halloween is celebrated is that there is a whole, long, story involved in how and why it first got started. Well done on both the historical and the current. I am enjoying everyone's response and enjoy your article!! !